Just add marshmallows and chocolate sprinkles. Or rainbow sprinkles! 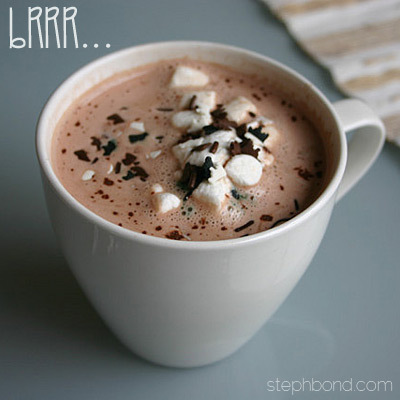 Looks like just the chocolate pick me up I need on a chocolate winters day!